Below is a picture of Steve Ballmer and Steven Sinofsky. 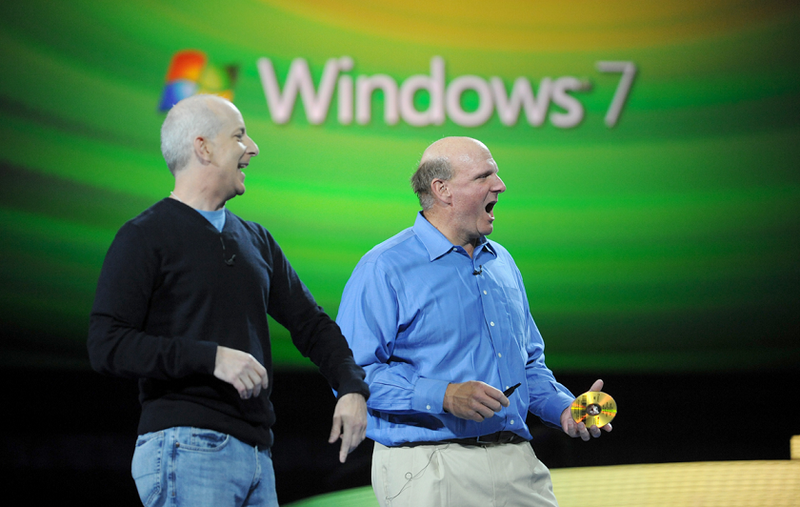 Steve Ballmer is holding the gold disk, he must be feeling relieved. When will you get Windows 7 RTM? That is the big question isn’t it? Developers with MSDN Subscriptions will be able to download Windows 7 RTM in English on August 6th and remaining languages by October 1st.